Nicely done. I hope she gets the rest of those poachers while she’s out there. I noticed the Bamboo google glitch too. It took some determination to get to Bamboi! I like the way you combine the legendary with the factual. Looks like we both want justice for elephants! For elephants, true, but not just for them. Thanks, Penny. I really enjoyed this, James. Fair justice has been served. A different spin on the law of the jungle, maybe. Great imagination and a well-crafted story. Robert Fletcher picked the wrong flower I’d say. He did, indeed. Thanks, Rochelle. but it wasn’t a woman he found on the other side…..
Nope. She changed into a lioness. Great fable. That woman shapeshifter had a real presence. Beginning, middle, end and moral. Well done! Well the hunter had to pay for his karma. Little girl was prophetic. 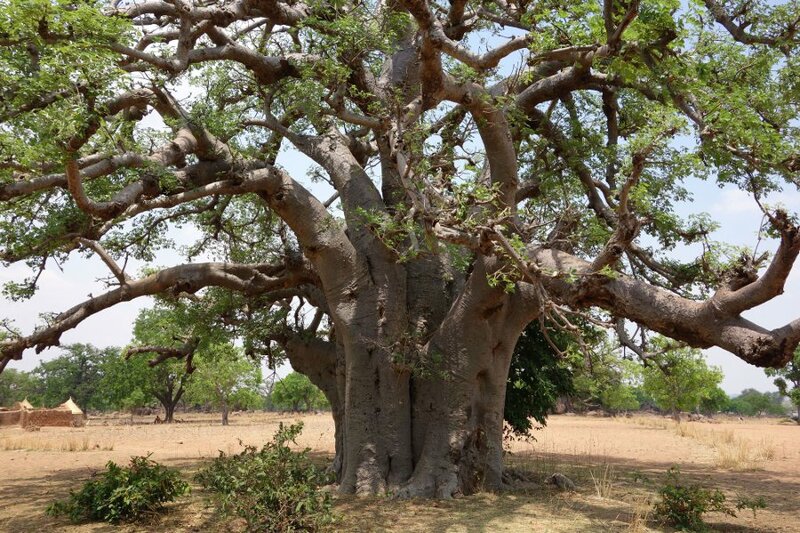 Baobab, Adansonia digitata, is a resilient tree that does well in the dry arid parts of West Africa. Students of Presbyterian Boys’ Secondary School-Legon call their old students odadee(meaning Baobab) because they are considered dynamic and robust, capable of tolerating the harshest climate. The tree isn’t as many in Ghana as it is in the savannah, Mali and Burkina Faso. Thanks for the update. From halfway around the world, I have to rely on Google for my information.